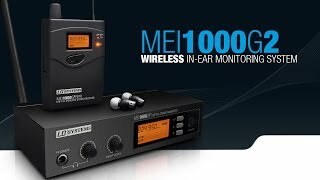 Considering purchasing the LD Systems MEI 1000 G2? Have questions? Ask people who've recently bought one. Do you own the LD Systems MEI 1000 G2? Why not write a review based on your experience with it. This is my first venture into in ear monitoring. I've been singing in rock bands for 15 years or so and wish I had done this sooner. The LD MEI 1000 G2 is easy to set up with simple instructions that get you started quickly. The stereo and focus modes enable a mix of signals which can be adjusted on the belt pack. I have found plenty of volume is available even with the limiter on. Setting the transmitter gain high and then gradually increasing volume in the belt pack gives a good signal to noise ratio with hardly any hiss. I have swapped the cheap headphones for my Shure in ears which are a big improvement and give better bass. First rehearsal with these and my ears were not ringing afterwards and it was so much less tiring. I felt I could pitch more accurately and never felt I was pushing my voice in conpetition with the ambient sound in the room. Seen a video for LD Systems MEI 1000 G2 online or have you own video? You will earn 514 loyalty points with this product worth £1.29, when logged in. 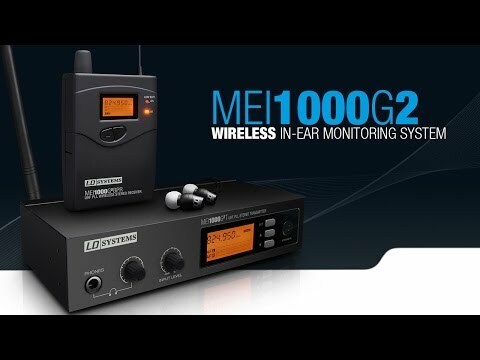 Check out LD Systems MEI 1000 G2 on DJkit.com!